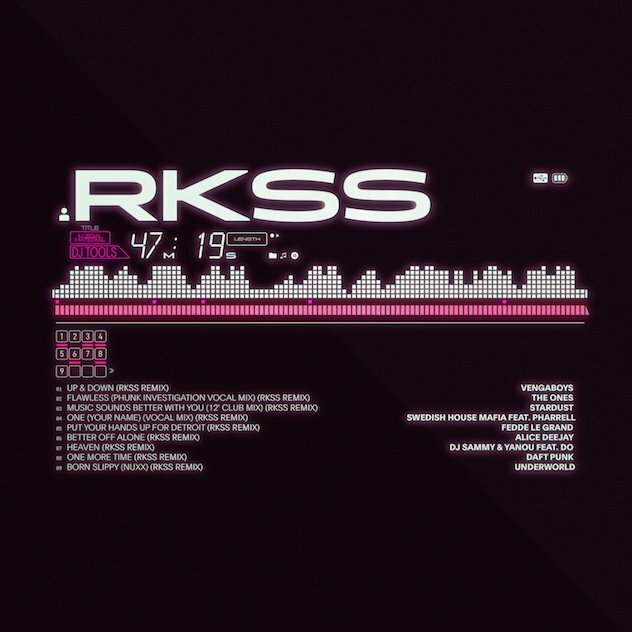 rkss has released a new collection of tracks reimagining and manipulating Top 40 dance cuts by the likes of Daft Punk, Swedish House Mafia and Underworld. The collection, entitled ‘Illegal Material’, can be downloaded for free via Mediafire. The nine-track release retains the thematic foundation of her ‘DJ Tools’ LP on Lee Gamble’s UIQ label earlier this year, in which she used an EDM sample pack and more “commercially” affiliated production software to make a warped and mutated interpretation of the polarising style. ‘Illegal Material’ features some baffling remixes of Swedish House Mafia’s ‘One’, Stardust’s ‘Music Sounds Better With You’, Daft Punk’s ‘One More Time’ and more. You can see the whole tracklist below. "Over the last year, as I’ve been performing DJ Tools, I started using these different remixes and edits of familiar dance tracks together with my own original music," rkss explained on Twitter. "For various reasons these remixes aren’t ones I could effectively sample for the original release on UIQ or distribute on platforms like Soundcloud or Spotify or whatever, so someone has leaked them on this nifty website as a free mixtape."